Lately, there’s been an increase in self-driving or autonomous vehicles. As a construction worker, you might wonder how this technology will impact you. You may even worry that robotics will affect your job. Companies such as Google, Tesla, and Uber are finding their way into the driverless vehicle market. Construction workers shouldn’t panic, though. In fact, it might be helpful for workers to use robots in the construction industry. These machines can provide extra safety for workers and do the job more efficiently. They can also work longer hours and get the task done faster. 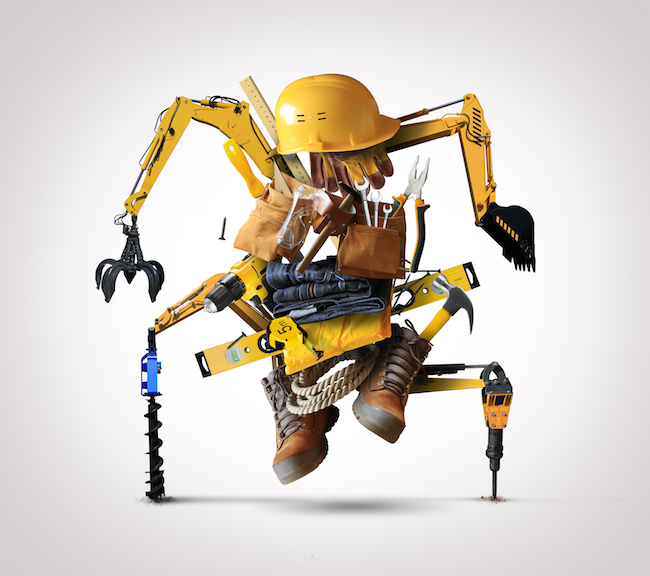 Keep reading to learn what to expect when working with robots in construction. Robots have already found a spot in manufacturing. They deal with automated and cyclic tasks. They can weld, inspect, and test products. This helps save on labor costs. Robots can complete the work quickly and capably. Factories are an ideal spot to try out automated robots, since they will stay inside a building. The utilization of robots in an outdoor setting outside adds the risk for certain hazards that are not prevalent in an indoor setting. These include exposure to the elements and potential tampering. Mining and farming are two other industries that use robots. These sites are constant every day. Farming has similar steps. Planting, fertilizing, and harvesting are all related to the previous step. In greenhouses, robots can monitor the soil humidity and alert other robots to water the crops. Outside, they can travel through rows of crops and collect data about the yield. They transmit that info so farmers can make adjustments to their crops. For mining, a lot of the work is also cyclic. Robots can work all the time in a mine. There’s no need for shift changes or driver breaks. The autonomous trucks use scanners and radar to move safely through tunnels. Automatic drill rigs are another type of mining robot. Miners used to drill holes and place explosives in them. These drill rigs can make the holes faster and with greater accuracy. Using these robots means that workers aren’t in danger since they’re not inside the machines. They don’t have to worry about getting injured underground. Bringing robots to construction sites is a smart choice. It’s a better option when compared to using them on the open road. Construction sites are closed off to traffic and people. Also, unlike stationary robots, construction robots can work independently once you give them guidelines. Operators tell the machines what they want to have done, and the machines work on their own. One of the most important perks to these types of vehicles is that they provide a safer job site. Accidents are common when it comes to heavy equipment. Automating machinery lets the operator manage the project from a distance. That way, there’s no fear about someone getting accidentally pinned. In addition, workers don’t have to deal with constant exposure to dust and vibrations. That’s because they won’t be as close to the action. The machines also do the more dangerous and repetitive parts of the job. This lets skilled laborers focus more on other areas and finish the overall job faster. Although the machine will do the heavier work, laborers are still needed to do the more complex jobs. These types of jobs include loading trucks and burying utility lines. Another perk is that these machines improve production. They have real-time monitoring, so the machines complete the work accurately and efficiently. Consider that most companies and workers receive payment after the job ends. Using robots to finish the work can speed up the process. This lets you get paid sooner and move on to the next job. Improved cost containment is another perk. Also called geofencing, this perk deals with fuel consumption and operations. Aerial drones map out an area and send the information to the machines. They provide resourceful patterns to get the work done. Workers program the spots they want the machine to go. This results in better fuel usage and shortened schedules. It also prevents the machine from going rogue. Many self-driving vehicles are in the early planning stage. These include trucks and cars for the open road. However, some experts claim that construction lags ten years behind the automotive sector. Construction is also slow to take off because it lacks stability. Weather conditions can hinder full-scale driverless vehicles. Despite these issues, construction does have a few machines already in use. In October 2017, Built Robotics created an autonomous track loader (ATL). This machine digs and grades a large space. It also does work for foundations. The operator uses an iPad to set the site perimeter and inputs the project plans. The ATL then uses a global positioning system (GPS) and other sensors to get the job done. Japan’s Komatsu leads the way for autonomous construction vehicles. It began offering autonomous mining trucks in 2008. The trucks use GPS to move high-grade ore without a driver. Global mining firm Rio Tinto uses these trucks in Australia. The firm uses more than 80 trucks to mine ore 24 hours a day. The trucks have moved one billion tons of material over the years. Each truck has gone more than 700 hours longer than conventional trucks. Komatsu also created an automated blast-hole drill system. This lets an operator control drill rigs from a distance. Also in 2017, Volvo Construction Equipment (Volvo CE) unveiled two machines to reduce emissions. The battery-electric HX2 load carrier can reduce carbon emissions by 95 percent. It has vision capabilities to make sure it stays clear of people and hazards. The company is also working on a hybrid wheel hauler called the LX1. Compared to its conventional match, the LX1 has achieved 50 percent improvement in fuel efficiency. Additionally, this machine offers a significant reduction in noise pollution. Caterpillar (Cat) is another company making its mark. As one of the world’s largest heavy equipment manufacturers, it has sent out more than 100 autonomous haul trucks. These trucks went to mines across the globe. Cat offers Cat Command technology on dozers, wheel loaders, and skid steer loaders. This lets operators control the machines remotely. They can operate them on-site or from many miles away. In the fall of 2017, Cat announced that 56 of its 793F trucks had 20 percent greater production than manned models. It also said that in a five-year span, Cat had hauled more than 400 million metric tons of material. With these machines, Cat has managed to get about 2.5 more hours of work done per day. In 2010, the idea of self-driving vehicles seemed too far off to consider. Seven years later, the state of California gave licenses to more than 40 companies to test autonomous vehicles. Thanks to advances in technology, the future of autonomous construction vehicles have also increased over the last few years. Companies such as Built Robotics have raised money to develop autonomous construction equipment. This company raised $15 million to get its self-driving ATL ready for commercial usage. Cyngn is another company with interest in this growing market. It’s busy with developing automated loaders and excavators. For the last decade, Cat has worked with Torc Robotics to develop self-driving vehicles. They both were involved in the Defense Advanced Research Projects Agency (DARPA). This group held an autonomous vehicle challenge. Torc developed Cat’s RemoteTask skid steer remote control system. Recently, Cat joined Torc to develop an autonomous haul truck system. They plan to release the Komatsu 930E haul truck in 2019. Other companies have added autonomous technology to already-existing machines. Volvo CE is one such company. It added autonomous technology to the L120 wheel loader and A25 articulated hauler. These machines can perform repetitive tasks more efficiently than they would with a human operator. Several developments have spurned the need for more autonomous construction vehicles. Some of them include advances in GPS positioning, performance metrics, and operating systems. However, software remains a key factor. Unlike hardware, software can constantly be fine-tuned. Making changes can help workers adapt to the job site. Workers can refine software applications or add features. They can alter the software to help them get the job done faster and more efficiently. You may fear that with the increase in autonomous vehicles, your job is in jeopardy. In fact, the opposite is the case. Autonomous doesn’t mean driverless. The industry still needs skilled operators. Experienced workers can monitor the work done by the machines. They can take over the controls if needed. Also, these machines can do the dangerous or tedious parts of the job. That lets you focus on other aspects of the task. As a result, the job site will be safer. Even if you lack experience, autonomous machines may make it easier to get a job. The learning curve on operating machinery would be lower. If given a choice, owners might not want to spend time training someone to use standard equipment. They would rather train someone to use the autonomous machines. That’s because the autonomous machines will be found more on job sites in the future.